Dax Varley writes the kind of YA novels she wished were around when she was a a teen. A lover of humor, horror and all things paranormal. Dax calls Richardson, TX home. 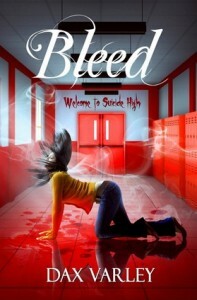 In her latest book, Bleed, life is a nightmare for Miranda Murphy. Without knowing why or when, blood oozes from her palms. Now, there have in 3 deaths in as many months at her school, and she and her paranormal friends must destroy the evil affecting their school. 1. What do you look for in a great beach read? Something intelligent, but doesn’t make me think too hard or stresses me out. 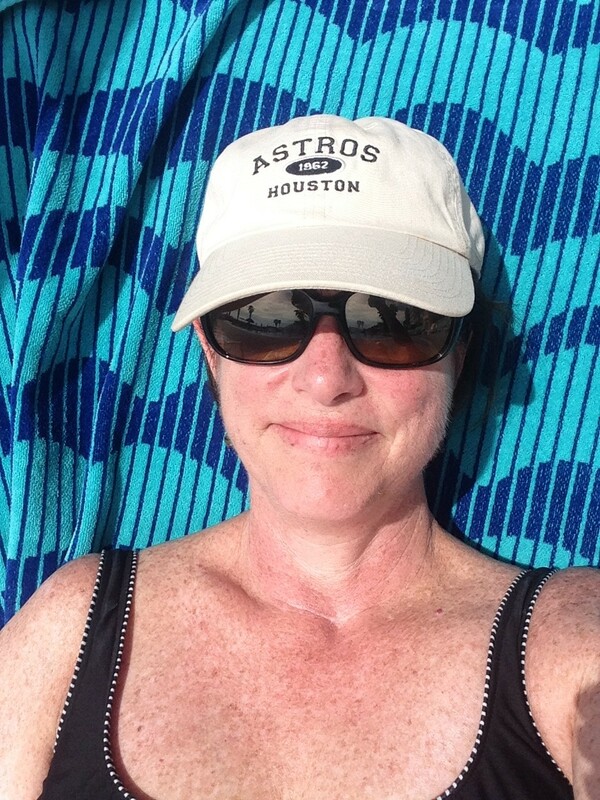 It difficult to relax when you’re on the edge of your seat…or beach towel. 2. What’s the last great beach book you read? I adored The Forbidden Orchid by Sharon Biggs Waller. It’s historical, so it may not technically be considered a beach read, but it’s contains everything to enchant the reader. 3. Flip flops or tennis shoes? 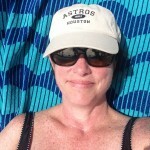 Kim O’Brien grew up in Bronxville, N.Y. listening to her mom’s ghost stories and riding horses. After earning her BA in psychology from Emory University, she went on to get her masters in fine arts from Sarah Lawrence College. 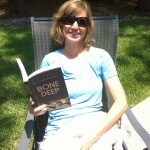 For many years, she worked as a writer, editor and speechwriter before becoming a full time mom and fiction writer. 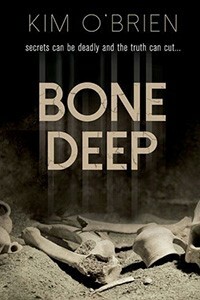 In Kim’s first YA novel, Bone Deep, Paige Patterson and her friend Emily intern on an archaeological dig working for Paige’s estranged father. The summer even takes on a romantic possibility when she meets Jalen Yazzi — the super attractive son of her father’s project manager. But then Emily vanishes. Paige and Jalen’s search for Emily, unearths long hidden crimes and dangerous mysteries. 1.What do you look for in a great beach read? A great beach read is a book I can’t put down or stop thinking about. The characters become very real to me and even though it is in print, I feel like I’m at the movies because I can see everything so clearly in my mind. I read across genres, so it could be a thriller, or a drama, or a mystery. The important thing is that I can connect to the characters, believe in the authenticity of their motives and actions, and root for them. 2. What is the last great beach book you read? It’s been out for a while, but I’m obsessed with George RR Martin’s Game of Thrones series. His fictional world is so incredibly well developed and complex. He has that great ability to sustain suspense through a lot of pages, at the same time he develops his characters so well that you really feel like you know them. The scope of his imagination just floors me. I’m also a big Jodi Picoult fan and happily immerse myself into her stories. She has such a great talent – I can’t say enough. 3. Men’s chest? Waxed or non-waxed? Well, I find getting my eye brows waxed to be exceptionally painful, so I go with non-waxed. 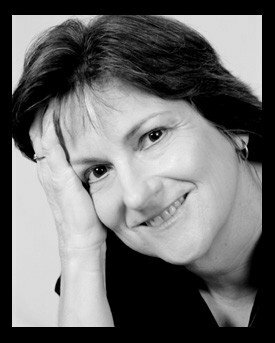 Colleen Gleason s a New York Times and USA Today bestselling and award-winning author who can’t seem to decide what type of book to write…so she writes a lot of different genres! 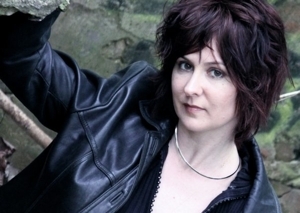 So far, Colleen has written everything from vampire hunters to dystopian romance, to steampunk, historical romance, and mysteries with a supernatural flair. One element, however, that appears in all of her stories, is that of partnership…whether it be professional, romantic, or both. 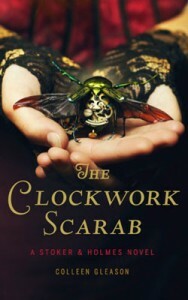 In The Clockwork Scarab (Book 1 in her Stoker & Holmes series), Evaline Stoker and Mina Holmes never meant to get into the family business. But when you’re the sister of Bram and the niece of Sherlock, vampire hunting and mystery solving are in your blood, so to speak. And when two young society girls disappear—one dead, one missing—there’s no one more qualified to investigate. The pressure is on, and the stakes are high—if Stoker and Holmes don’t figure out why London’s finest sixteen-year-old women are in danger, they’ll become the next victims. Something that feels summery, with a good dose of romance and/or suspense. I generally like something light, too, with either humor and/or an easy tone. 3. 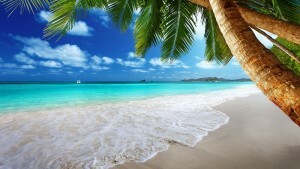 If you could go to the beach with any hunky guy, who would you choose (and no, you can’t say your hubby)? The winners from last week’s giveaways are Suze, Joey and Allison Dewey. Email me at cc@cchunterbooks.com to claim your free ebook, and please tell me if you prefer the NOOK or Kindle format. 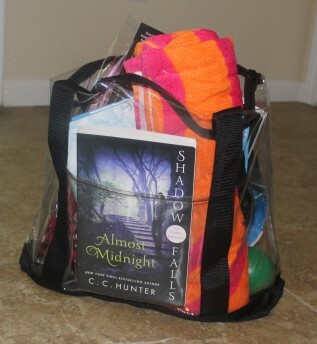 Don’t forget, if you leave a comment you are automatically entered into my Beach Tote Giveaway and could win this tote filled with signed books by the featured authors of the last two weeks, an Amazon gift card, swag, beach essentials and fun stuff!!! I’ll announce the winner next week on my blog. So be sure to check back. When Abigail Johnson moved from Pennsylvania to Arizona at the age of twelve, she chronicled the entire move in her journal–and has been writing ever since. 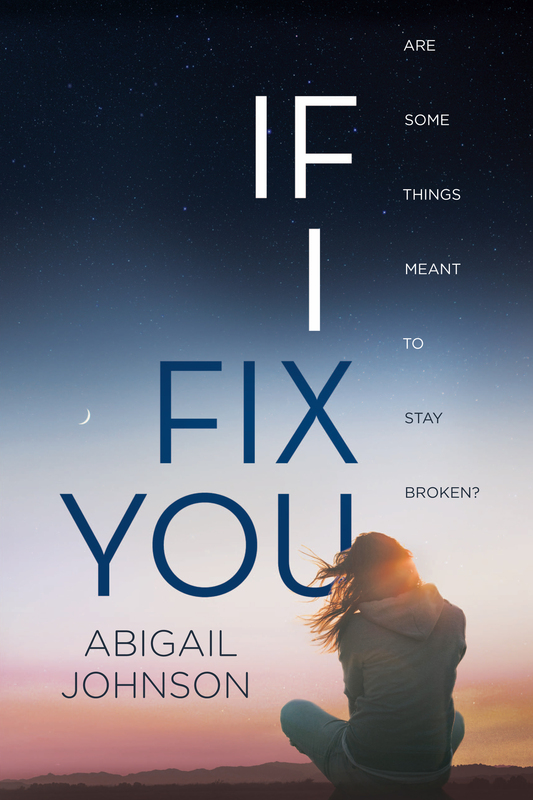 She became a tetraplegic after breaking her neck in a car accident when she was seventeen, but hasn’t let that stop her from bodysurfing in Mexico, writing and directing a high school production of Cinderella, and publishing her first novel, If I Fix You (10/25/16). 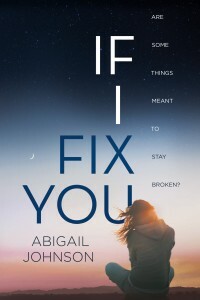 In If I Fix You, sixteen-year-old Jill Whittaker’s mom walks out, and she’s the only one who knows why. Suddenly, the girl who fixes things-cars, relationships,people-is broken. With nothing making sense, Jill meets a new guy who’s cute and intense with scars-on the inside and out-that he thinks don’t show. Trying to help him, Jill realizes she can fix anyone else’s life till she fixes her own. Escapism. I want to get lost in a story and become completely absorbed in a character(s) life. Light and fun or heavy and harrowing, it doesn’t matter. I want a book that’s impossible to put down. On the light and fun side, The Fill-In Boyfriend by Kasie West. I love everything Kasie writes, but her latest contemporary YA delivers another swoon filled romantic comedy–with real heart–that is perfect to read pool side. 3. What’s one ocean creature you’d hate to come face to face with? Since we’re talking favorite beach reads, I’m thinking of the great white shark from Peter Benchley’s JAWS, and the prehistoric megalodon shark from Steve Alten’s MEG. I’ve never been able to look at the ocean the same way again. 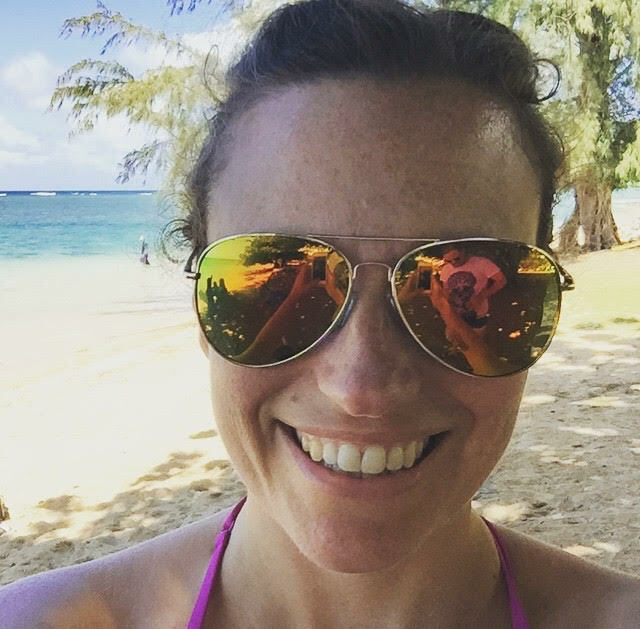 E. Katherine Kottaras is originally from Chicago, but now lives in California where she teaches writing and literature at Pasadena City College. She is interested in the stories we tell, the stories we are given, and the ways we can redefine our worlds by discovering which stories are true. 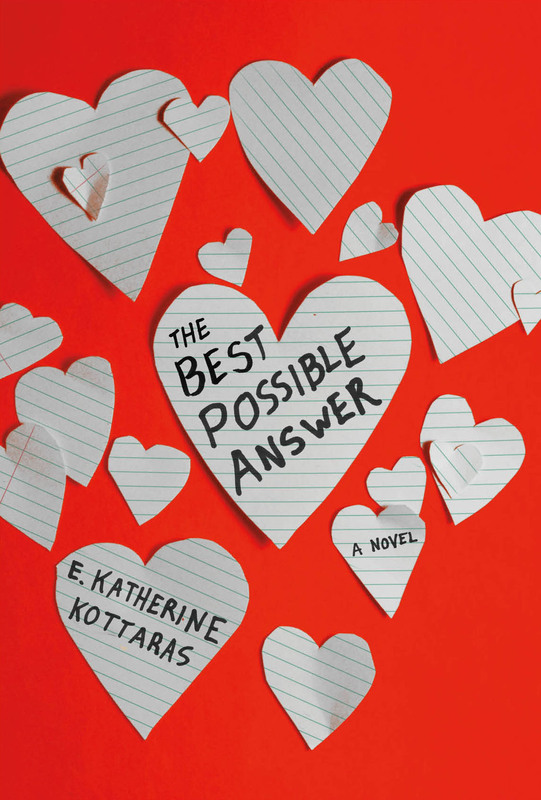 In her second YA novel, The Best Possible Answer (11/1/16), over-achiever Viviana Rabinovich-Lowe strives for perfection, but it all comes to a screeching halt when racy pictures of her are leaked by her boyfriend. Even worse, her parents might be divorcing. For the first time Viviana feels like a failure. But when she gets a job and makes new friends who know nothing of her past, she realizes she can be whoever she wants. even someone who’s not perfect. feet stay cool in the sand. couldn’t put down, not even for a romp in the waves. nothing like playing in the ocean to make you feel alive! 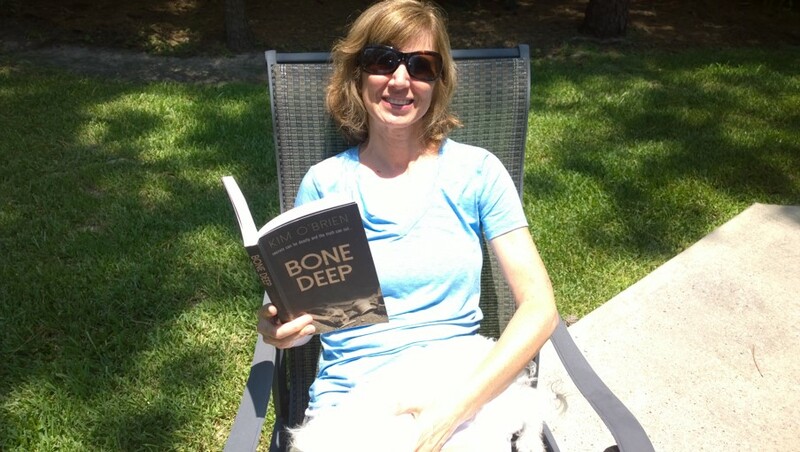 Joy Preble, a former high school teacher who now writes full time, was raised in Chicago, but now lives in Texas. 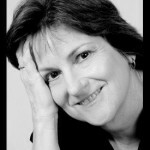 Today, she speaks widely on writing and literature in schools, libraries and conferences. 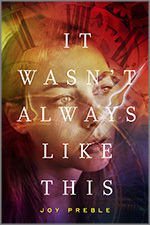 In her latest novel, It Wasn’t Always Like This, Emma O’Neill is frozen in time in 1916 after she and her family and her father’s partner’s family (the Ryans) sample an experimental polio vaccine and now they don’t age. But that’s fine with her since she’s in love with Charlie Ryan. But soon a group of religious fanatics take note. On the run, Emma and Charlie are separated. One hundred years later, Emma is a private investigator investigating a series of murders of girl who all look like her. As Emma’s danger grows, so does her hope of finding Charlie, the boy she loves. I’m not that fussy, but I’m looking — typically– for a page turner. This can be romance or mystery or thriller or fantasy or sci-fi, it just needs to be fast-paced and engaging, and preferably available in paperback or on Kindle so I can keep a hand free for my tropical beverage. Of course the story goes that Lin-Manuel Miranda read Ron Chernow’s bio of Hamilton– a thousand page, door-stopper thick tome– while on the beach and we all know how that turned out! So I say we shouldn’t knock historical biography as a very good beach read option! Last summer I was finishing up the Outlander series, by Diana Gabaldon, or what I call “Joy’s 8,000 page obsessive commitment.” Jamie and Claire are definitely beach read material. On the other hand, I read Cammie McGovern’s Say What You Will last October while on the beach in Florida and it’s a slower-pace contemporary YA. So really, I guess it depends on my mood! Robert Downey Jr. Beach or mountain or produce aisle at the grocery store or random meeting in the Food Court at the mall, he is my go to answer. Because Robert. Downey Jr. Enough said. Beach Tote and Book Giveaways!!! So remember, be sure to leave a comment to be entered into the weekly giveaways. You could win an e-copy of a book by one of the featured authors. 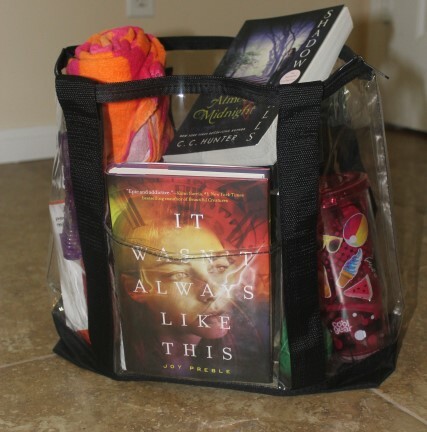 And don’t forget, if you leave a comment you are automatically entered into my Beach Tote Giveaway and could win this tote filled with signed books by the featured authors of the last two weeks, an Amazon gift card, swag, beach essentials and fun stuff!!! 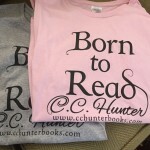 Last week’s winner of a Born to Read t-shirt is April. Congratulations! 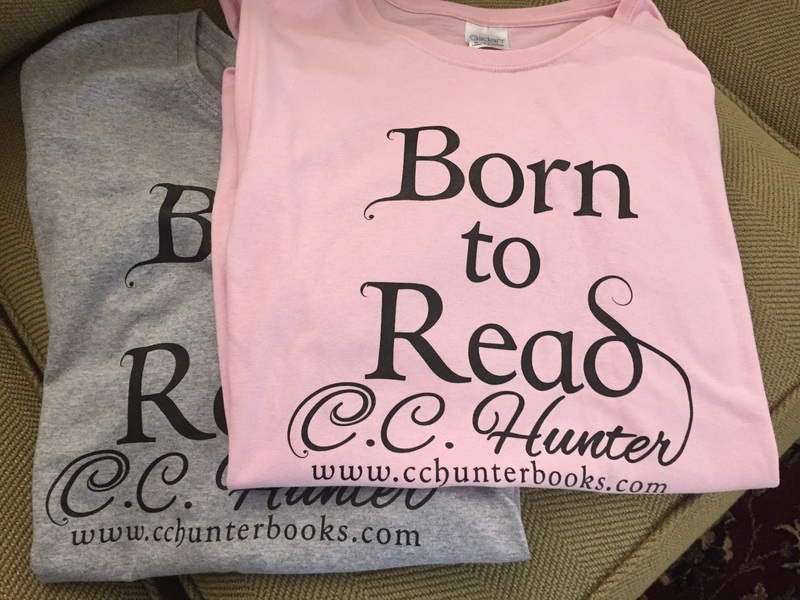 April, please email me at cc@cchunterbooks.com with your t-shirt size and your mailing address. Well, I can finally confirm I’ll be attending a book fair in Denmark! The fair is called Herlufsholm Fantasy Bogmesse and it will be at the Herlufsholm School near the city of Naestved on October 21st and 22nd. I’ll be there with fellow YA authors Eva Oakenshield, Brian P. Orbol, Kenneth Bogh Anderson, Nanna Foss and Haidi Wigger Klaris. 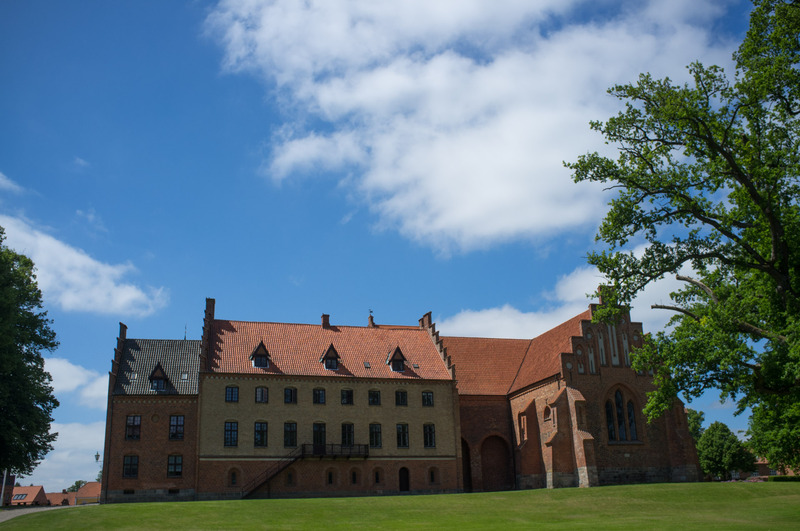 The Herlufsholm School is an old boarding school that’s made for adventure. There will be publishers, authors, readers and roleplayers at the only fantasy book fair in Denmark, and it will offer separate readings and events targeted at specific age groups. 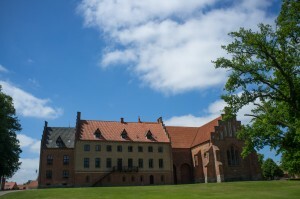 I can’t wait to visit the beautiful country of Denmark. So, if you live in Denmark or near, plan on attending this book fair. I’d love to chat with you about Shadow Falls. 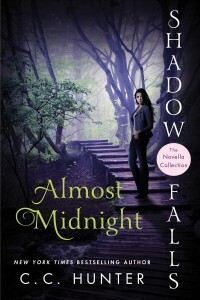 By now most of you have read Almost Midnight, my book with all my novellas in one volume. So, it contains Turned at Dark, Saved at Sunrise, Unbreakable, Spellbinder and Fierce. So, I’d like to know which novella is your very favorite and why. Tell me in the comment section and I’ll select one name and that person will get a Born to Read t-shirt. And this drawing is open to all my US AND international fans. 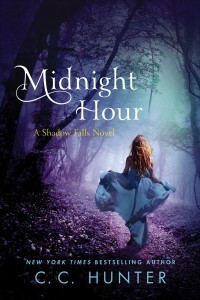 Don’t forget, Midnight Hour is coming out on October 25th. You can pre-order it now. And I think you’ll want to because I have a special surprise for anyone who pre-orders Midnight Hour. I can’t tell you just yet, it’s top secret, but I think you’ll be really happy when I reveal my little secret. You’ll never guess what it is! So, pre-order your copy of Midnight Hour today at Amazon, iBooks, Barnes & Noble and Kobo. It’s been a little while since I answered your questions. So, I went back to my list of things you have asked and decided to answer a few. Kase asked: Is Chase’s book going to be comprised of both present and future (like his story continuing right after the events of After Dark with flashes of his past) or is it just his past? Do you think you may ever write a short story from a werewolves perspective or a shape shifter? If so what characters do you think you would use? Do you think they would be new? For the werewolves, do you think that the shadow fall wolves would ever find a way to break the moon’s hold on their transformations? CC: Well, Kase, Chase’s novella, Unbreakable, is entirely about his past and how he became vampire. A short story from a werewolf’s perspective? I already did! I wrote Fredericka’s story, Fierce. And both Unbreakable and Fierce are included in Almost Midnight. As for a story from a shapeshifter’s perspective? I think I’d write Perry’s story. There’s so much more to that guy than what you’ve read in my books. No, I think the werewolves of Shadow Falls will forever be tied to the moon. Unless I think up a really great idea to write a different outcome. As a writer, I can write anything as long as I can make it believable. Taryn asked: Will you ever write a novella/book from Lucas’ Point of View when Kylie left Shadow Falls?Oh and maybe even a novella from Kylie’s Point of View during her time at the compound? CC: Sorry, Taryn, but Midnight Hour (out 10/25/16), Miranda’s book is scheduled to be my last Shadow Falls book. I’ve already started a new series. That said, I can’t definitively say that I’ll never write about any of the Shadow Falls characters again. Some of these characters really stick with me, and if one becomes enough of a pest, I may write a novella about them. But I’m not promising anything. 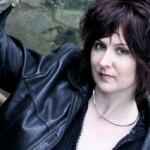 Misty asked: How often do you rewrite scenes? How long did it take for you to find the perfect names for your characters? Do you have to add in the descriptions after you write the main details? CC: I go over a scene again and again. If you read last week’s blog, you’ll have learned that I’m dyslexic, and since I want to turn in a book that’s as close to perfect as I can make it, I tweak my scenes over and over. Then, I send it to my editor, and she usually has some changes, which means more rewrites. I love picking names for my characters. However, usually the first name I pick for a character is not the name they end up with. Sometimes the more I get to know the character, the more their first name doesn’t suit them, so I change it. No, I usually have a pretty clear physical picture in my head of what my characters look like. I may go back through the scenes and add bits here and there to fill it out and make the character more real afterwards. Do you have any more questions you’d like me to answer? Please leave them in the comment section below. Have you pre-ordered Midnight Hour? I know October 25th sounds like it’s a long way off, but it will actually be here before you know it. Don’t have to wait a second to start reading Midnight Hour. Pre-order it and you’ll have it the day it’s released. Order it today at Barnes & Noble, Amazon, iBooks and Kobo. A missing sister, a heart in turmoil, and a growing tattoo that no one understands…C. C. Hunter brings The Shadow Falls saga to a spectacular conclusion in this thrilling finale: Midnight Hour! Being a dyslexic witch has never been easy for Miranda Kane, but her time at Shadow Falls helped her tap into her true powers. Now her life is thrown into chaos after a near death experience leaves her with a mysterious growing tattoo no one can explain. Her heart is a mess over whether to get back together with Perry or take a chance on a new love, her parents are spitting up, and she may not get into the same college of her two best friends. To upend her world further, it appears her sister has been kidnapped and it’s not just her they want. Miranda’s only way of saving her sister may be to take her place. Will her friends at Shadow Falls save Miranda…or will she realize that she had the power to save herself all along?